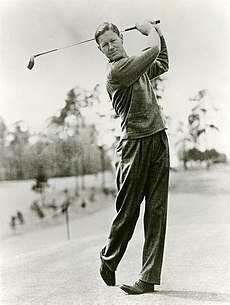 John Byron Nelson Jr. (February 4, 1912 – September 26, 2006) was an American professional golfer between 1935 and 1946, widely considered one of the greatest golfers of both his generation and of all time. Nelson and two other legendary champions of the time, Ben Hogan and Sam Snead, were born within seven months of each other in 1912. Although he won many tournaments in the course of his relatively brief career, he is mostly remembered today for having won 11 consecutive tournaments and 18 total tournaments in 1945.